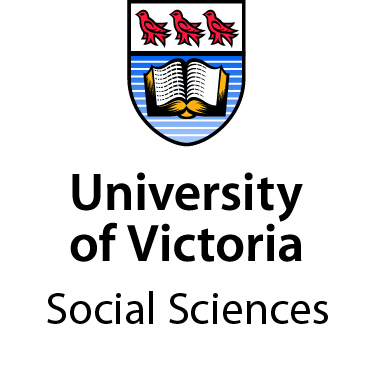 The Faculty of Social Sciences (https://www.uvic.ca/socialsciences/) invites applications for a Tier 2 Canada Research Chair (CRC) in Mobile Health and Data Analytics. The area of mobile health and aging is an emerging strength of researchers at UVic and is a key component of precision health by providing reliable, efficient, and low cost approaches for measuring health-related processes and outcomes. Mobile assessments permit an ecologically valid assessment of health behaviors and outcomes, well-being, and cognition by capturing these processes throughout an individual’s daily life, where and when it matters. This Canada Research Chair will run a world-class research program developing innovations in real-time monitoring and just-in-time interventions using wireless technologies (mobile phones, wearables) to optimize psychological and health states and to improve health outcomes. The target candidate will establish an externally funded, internationally recognized research program in the area of aging and health. The Faculty of Social Sciences has a complement of 128 research faculty members, including four existing CRCs and over 400 graduate students. The successful applicant will be appointed to an appropriate unit in the Faculty (which comprises the Departments of Anthropology, Economics, Geography, Psychology, Political Science, and Sociology, and the School of Environmental Studies) and will be an affiliate of the Institute on Aging and Lifelong Health. The successful applicant will be nominated by the university for a CRC Tier 2 and, upon approval by the CRC Secretariat, will then be offered a position at the rank of Assistant or Associate Professor (eligible for tenure, or with tenure). The anticipated start date is July 1, 2020. Tier 2 CRC Chairs are one of Canada’s premier early career recognition and recruitment programs, and are intended for exceptional emerging scholars (i.e., candidates must have been an active researcher in their field for fewer than 10 years at the time of nomination). Applicants who are more than 10 years from having earned their highest degree (and where career breaks exist) may have their eligibility for a Tier 2 Chair assessed through the program’s Tier 2 justification process. For more information on the CRC program generally and on eligibility specifically, please consult the Canada Research Chairs website (http://www.chairs-chaires.gc.ca/program-programme/nomination-mise_en_candidature-eng.aspx). This CRC recruitment is part of a broad strategy to expand and raise the profile of research in health and aging at the University of Victoria. The successful applicant will be expected to engage with the UVic Institute on Aging and Lifelong Health (https://www.uvic.ca/research/centres/aging/), which has a 25-year history of high-quality research, community outreach, and trainee support. Research strengths in the Institute on Aging and Lifelong Health are currently organized around cognitive health, lifelong health, and vulnerability and frailty. Candidates will be evaluated on the following criteria. The successful candidate will have a PhD or equivalent research record, will be an emerging world-class researcher in the field of mobile/digital health technologies, will have a critical understanding of digital health technologies in the context of aging research and diverse and/or marginalized populations, and be proposing an original, innovative research program of high quality with the potential to achieve international recognition. The candidate will offer evidence of high-quality teaching and supervision, including support to create inclusiveness and support learning among a student body diversified by gender, ethnicity, age, place or origin and many other factors. The successful candidate will demonstrate potential to collaborate with a range of diverse colleagues affiliated with the Institute on Aging and Lifelong Health. In addition, the candidate will translate the knowledge generated by their research program through the Research Partnerships and Knowledge Mobilization office. In accordance with the University’s Equity Plan and pursuant to Section 42 of the BC Human Rights Code, preference will be given to members of the following groups: Indigenous peoples, persons with disabilities, members of visible minorities, and women. Candidates from these groups, who wish to qualify for preferential consideration, must self-identify in their cover letter. * Contact information for three referees. The application package should be addressed to Dr. Scott Hofer, Chair of Search Committee via email to soscreception@uvic.ca with the subject heading “Mobile Health and Data Analytics Position”. In order to be considered, application packages must by received by May 3, 2019.